I once was a collector of boning knives. Unfortunately, all that collecting spree happened accidentally out of sheer cluelessness. I was beyond relieved when my uncle, who’s been a butcher for 17 years, taught me how to spot the best boning knife among the multitude of selections in the market now. Today, I’ll be sharing just about that: the secret to finding best one for you and your ever demanding kitchen needs. Right below, we’ll be unveiling the de-boning masters in this year. And before we reveal you our top pick, we’ll cover the features and factors to look for in a boning knife. For the uninitiated, we’ll also provide the safest and most practical ways on how to use a boning knife.Without dilly-dallying, here are our top choices for the best boning knives. The precision forged German steel that is rightly equipped in this knife is embedded for a whole lot of beneficial reasons. First, it strengthens the knife and adds that much-needed durability with a tool such as a boning knife. Next, the high carbon, no-stain steel should be able to resist not only rust and corrosion but also that unavoidable discoloration in the future. Meanwhile, this flexible boning knife features an ergonomic Santoprene handle that provides excellent comfort along with a non-slip grip — all of these can be obtained even when your hands are wet! Also, the handle is designed not to break down when it’s exposed to kitchen oils; as such, it should be able to brace cold and hot temperatures. On the other hand, the knife’s taper ground edge enables the users to experience extra stability and comfortable honing. The second entry’s placement from Mercer is not entirely accidental. It all comes with a deserving set of features — foremost of which is embedded right into its ergonomic handle which boasts of both the best worlds in terms of comfort and durability due to Santoprene and Polypropylene respectively. On the other hand, the handle is equipped with textured finger points that are specially developed to give you that nice grip, safety, and slip resistance. 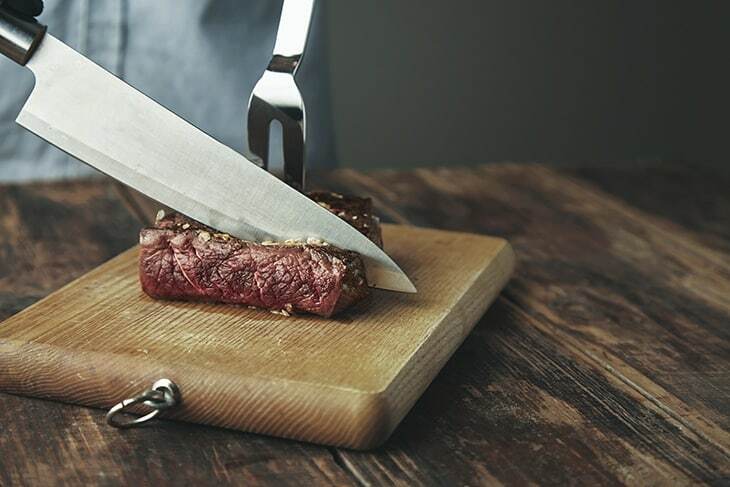 Now, if you’re fretting over the usual, arduous maintenance you get from other types of blades, the Mercer Culinary Millennia has just about the premium quality, stain-free Japanese steel that enables users to maintain the blade quite efficiently and retain its razor-sharp edge. All those complicated deboning and trimming activities come so smoothly with Victorinox 6 Inch Curved Fibrox Pro Boning Knife. 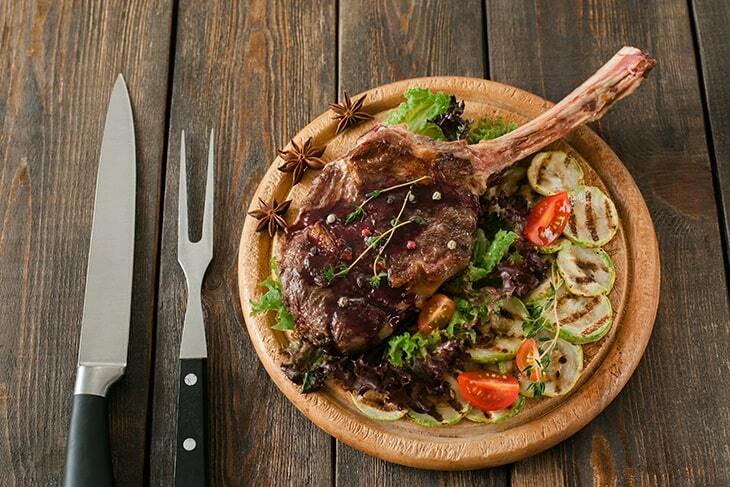 It’s armed with a distinctive, curved and semi-stiff stainless steel blade that should make it suitable to cut through the natural curve of your meat, tendons, fats, and bones. Meanwhile, its proprietary Fibrox handle is specially crafted to resist slips and is engineered for both comfort and balance.If you’re a professional chef or a seasoned butcher, this last contender should suit your needs on a daily basis. Ultimately, the item is ice-tempered, rendering it to sustain its sharpness even longer. The armed blade right in the Update International offering just doesn’t shy away from its real purpose: the curved blade is noted for its sharpness and optimum cutting performance. It’s also made of German, high carbon steel that’s forged with molybdenum vanadium; an NSF certification is likewise noted to keep your safety and security at a maximum. Our second entry is currently available in 5- ½ - inch white handle and is measured at 11- ¼ for its overall length. This should work wonders when you’re filleting fish or chicken. Do you want the best out of deboning your prize fish or poultry? Do you ever aspire to make smooth cuts and clean removal of bones? The Dexter-Russell Boning Knife should provide you your pinnacle deboning capabilities in a single stroke. The knife features a Grip-Tex handle that rightly seals out any form of bacteria — giving you a product that is both functional and hygienic. Ultimately, its blade is probably its most hallmark feature: hand-sharped, honed-blade, and exceedingly flexible to handle fish and its bones. Forged with high-carbon steel, the length of the blade is 6-inches. It’s also ideal for removing silver skin and slice chicken breasts horizontally when you want even, thin cutlets. Those days I spent mindlessly on buying boning knives have given me one abiding lesson: choosing one is never an easy process. You can’t just quickly drop by your nearby retail store and pick one of the best sellers; no, the process, if I will, is a tedious one. And so, it’s a must that you’re equipped with the right knowledge of the features and specifications you’re looking for. 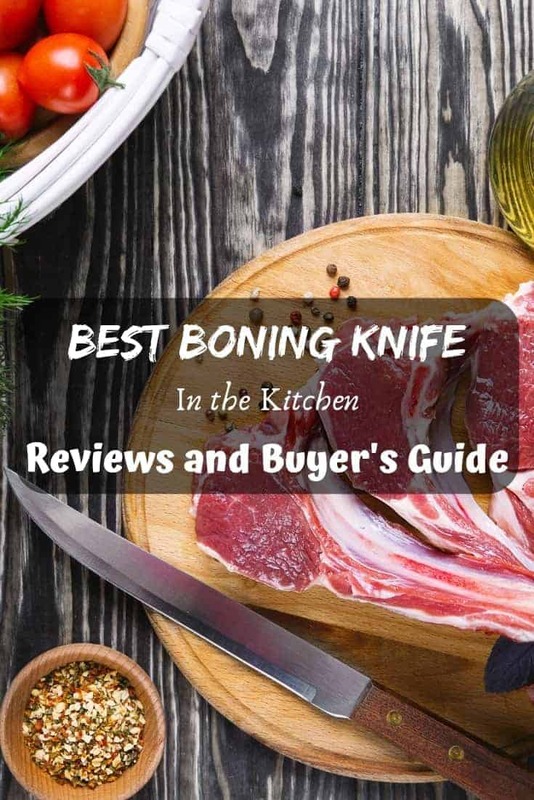 Once ascertained, these exceptional boning knives should all be thriving in no time right at your fingertips! My uncle was adamant in telling me that the first thing you need to ask yourself when looking for a boning knife is which type should you be going for. In this regard, your knife’s flexibility must be considered as a crucial feature. This is highly due to the proven fact that a flexible knife often breaks or bends when it goes into a thicker cut. On the other hand, when you use a stiff knife on a fish, the chances are that you’d be having difficulty in deboning it. A stiff boning knife — this is especially ideal for thicker cuts; this knife is noted for its lesser flexibility. A flexible boning knife — this comes in a smaller size; greater control and flexibility are to be expected in this knife. Tip: If you ever wish to do is to remove bones from a fish or poultry, then a flexible knife would do. Other than that purpose, a stiff knife is recommended. Boning knives’ average blade should span from 5 – 6.5 inches. If you’re gunning for a more flexible knife, go for one that sports a smaller blade. A smaller blade is also ideal if you intend to remove bones from delicate cuts. Tip: If you want to be on the safe side, I’d highly suggest owning both a smaller and a larger type of blade. Meanwhile, if you’re planning to deal with larger cuts of meat, blades within the size range of 7-9 inches will suffice. This “specialty item” is most often used in a professional setting by butchers, a tool that is deemed to be making their jobs easier. 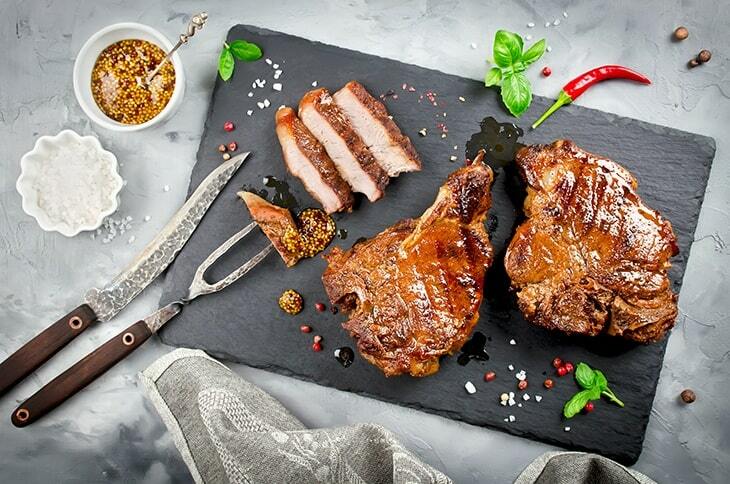 Especially for larger cuts of meat, a durable handle is of necessity. These handles can be seen in a variety of types that range from wood to my favorite, hard plastic. You can also see a handle that is made of synthetic materials like Polypropylene in which the coating that is applied improves the user’s grip. The final choice will all be up to you in regards to this segment. Go for a handle that justifies your preference and complements the décor in your kitchen. A boning knife’s blade design comes in two attractive options: straight and curved. And while these two may be easy in the eyes of a novice, one must ultimately know the difference between the two. When deboning a fish, the latter is more preferred relative to time. To note: a curved blade allows you to remove the bones from a fish effortlessly, with just one pass of that knife. On the other hand, a straight one will cost you more time due to its needlessly more intricate output and often challenging completion. Thankfully, virtually all boning knives now are forged with stainless steel. Today, variations of stainless steel can be found in the market: cold steel, tempered, 4116, and the prized high carbon — all of which are sufficient enough for your simple to intricate cutting needs. If you want a lighter load, go for high carbon blades; cold steel blades, on the other hand, are noted for its durability. Regardless of these blade types, they’d still be able to serve their purpose. Knowing how to use a boning knife properly is not only vital in regards to your deboning prowess but should, in essence, bring about that much-needed safety in all your activities. When deboning a chicken, use the boning knife by cutting it along the sides of its tendons, just like when you’re removing them as well. The knife’s narrow blade should enable you to get rid of the tendons along with the bones while not ruining the flesh. One of the more distinct advantages of using a boning knife is that it can fillet your fish quite effortlessly, too. It is equipped with a feature that can slice the fish’s delicate flesh. As mentioned above, go for a flexible type of boning knife if you intend to remove bones from a fish meat. To begin, simply control the knife in a way that the blade follows the contours of the bones of the fish. This should easily do away the bones from the flesh. Next, you can fillet the remaining meat as soon as you’re able to cut the flesh alongside the backbone. 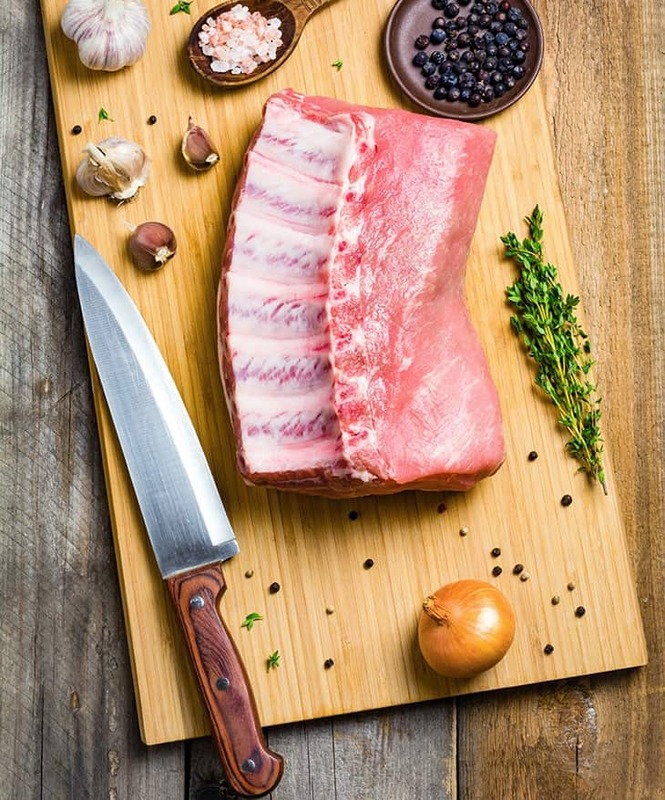 Your boning knife is also a prize tool in removing those thin layers of pork and beef fat; the latter is encouraged to be removed as it affects the meat’s flavor and texture. 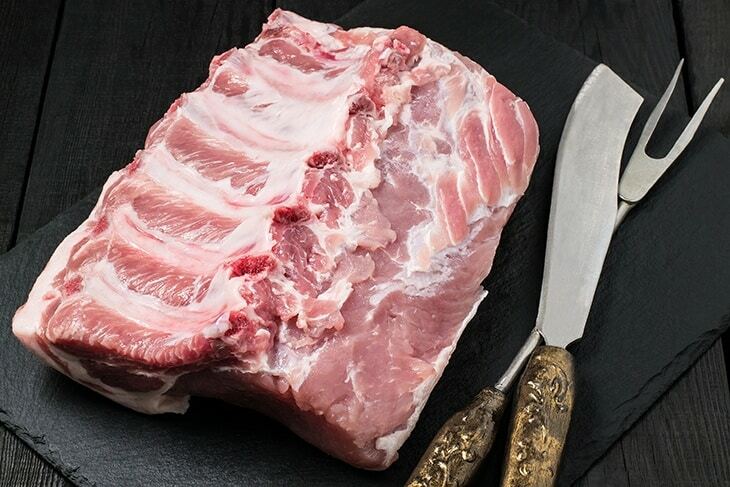 To trim it effectively, simply insert the knife right in between of the flesh and fat. Next, pull it upwardly to remove the layers of fat. The Victorinox 6 Inch Curved Fibrox Pro Boning Knife With Semi-Stiff Blade is a clear standout among its rivals. From its well-balanced, comfortable, and slip-resistant Fibrox handle right down to its curved, semi-stiff stainless steel blade that debones through the toughest and most intricate of situations, this Swiss product is definitely worth all your time and money. 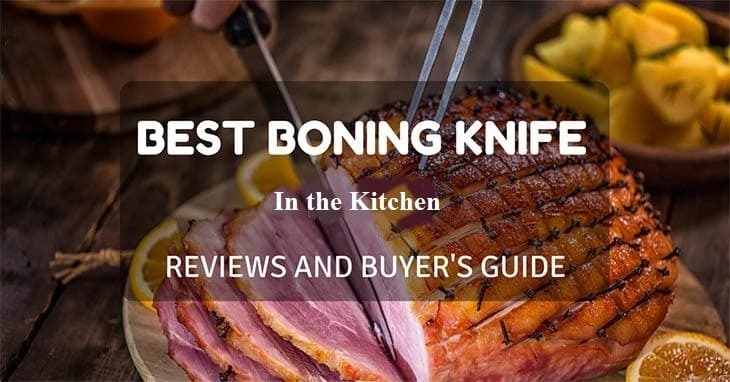 Did the article finally let you decide as to which of them is the best boning knife? Do you think another product deserves a spot on our list? If you ever think so, please feel free to sound them off in the comment section below!